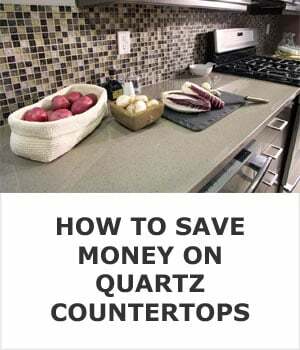 Let’s kick this off with the average price of a quartz countertop installation, and then I’ll give you a few quick tips to help you save lot’s of money on your new countertop. 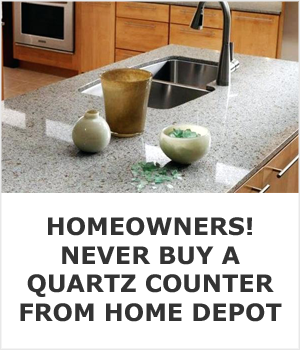 Along the way I’ll give you a few quick tips to ensure your countertop shopping experience is fun, and doesn’t become a hassle. The cost to install quartz in an average sized kitchen; including the stone, fabrication, and installation is $2,500. That can, of course, vary quite a bit. For an average sized kitchen you may be able to get away with spending as little as $1,000. On the high end, you can expect to pay around $4,000. If we break that down into square feet, it can range from $50-$100 per square foot of countertop space in your kitchen. There are two major variables to the overall cost. The first is the slab you choose and the second is who you choose to install it. Where you live is also a huge factor, but unless you’re going to cart your home across state lines it’s not something we can control. That’s usually why you’ll read on the internet that someone paid $40 per square foot for nearly the exact same countertop as someone else that paid $70 for. 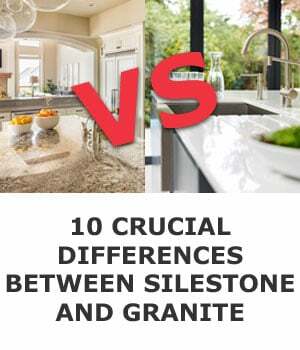 I don’t advise you buy the cheapest slab of stone you can find, there are well documented quality problems with a lot of the inexpensive stone that’s imported from China, or hire a contractor that cuts corners to be able to offer the lowest labor costs. Whether you end up with perfect installation of a low-quality countertop, or a poor installation of a high-quality countertop; you’ll be left disappointed either way. 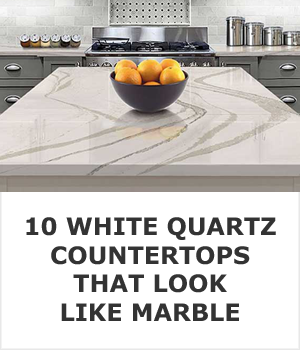 Paying a lot of money for a quartz countertop doesn’t always mean you’re getting great quality, so shop around a bit, because you can save quite a bit of money by visting a few local fabricators, but more about that in just a minute. Let’s first focus on picking out a slab. There are probably one or two stone yards in your area that have some slabs for you to look at. 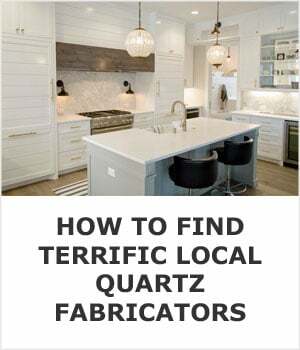 If you’re lucky you’ll have a slab showroom nearby (it’s really just a fancy warehouse) where you can literally walk the aisles and choose from hundreds of different slabs of quartz for your kitchen. Visting a showroom and picking out an actual slab is the best way to save the most money. The salesperson will be able to help guide you towards slabs that fit your budget and present you with way more options than any of the big bix stores. The next step is to find a handful of local installers to compare prices of the finished product. Visit each one in person, I recommend getting quotes from at least three, and let them know you have a slab picked out and where it is. Then they’ll discuss a few options with you, set up an appointment to visit your home, measure your cabinets (they have to be installed to properly measure for countertops), fabricate the slab back at their shop, and return in a few weeks to install it. I like to bring this up because I think it’s very important. While you’re talking to the fabricator ask them what they would install in their home if they were buying a countertop today. Most of the time the answer will be granite. 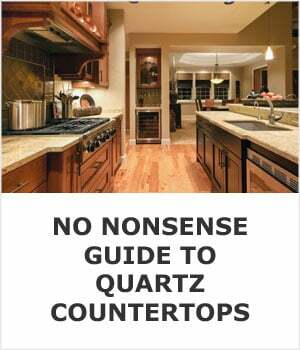 Quartz is usually more expensive and it doesn’t offer any benefits that granite doesn’t have. If you think granite is an outdated building material I’m not going to try to talk you out of that. 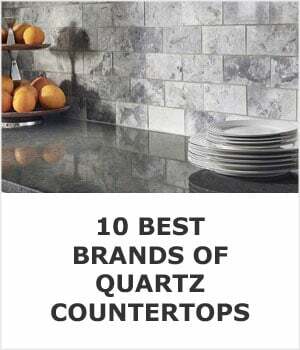 It’s a common opinion and a perfectly fine one, but if you think that quartz performs better than granite in the kitchen I may be able to change your mind. The biggest difference is heat resistance. Quartz is much more likely to discolor from heat exposure and that’s a huge consideration if you do a lot of cooking and baking. 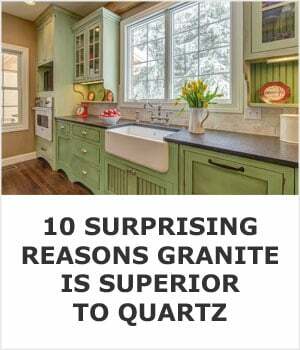 This page is dedicated to all of the differences between quartz and granite. The fact that granite has a number of advantages, and can also cost less, is a very tempting proposition, but both granite and quartz are excellent building materials and you’ll likely be thrilled with either choice. 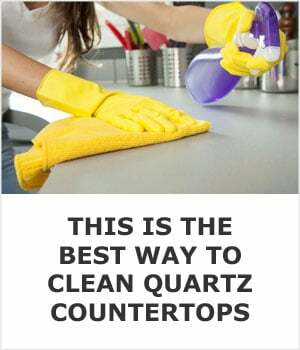 The price of quartz countertops will vary depending on where you live, the stone you choose, and if you comparison shop to get the best deal. They are defintely worth the investment so don’t be afraid to spend a little more than you initially planned on countertops. They literally “make or break” a kitchen remodel so being happy with them for the long term is way more important than saving a few dollars per square foot today.